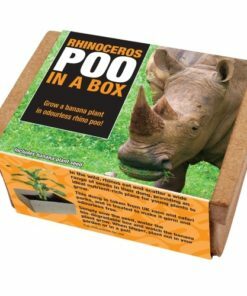 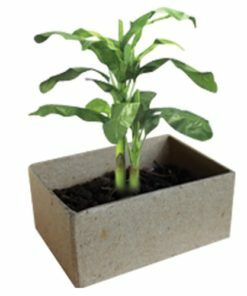 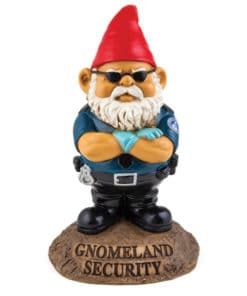 This little guy will look great on your lawn, in the house or even at the office. 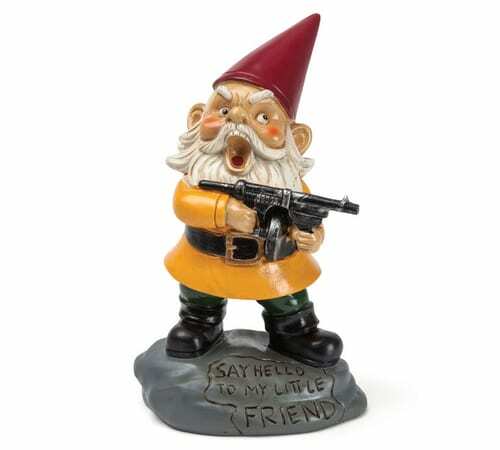 Say hello to my little friend, the Angry Little Garden Gnome. 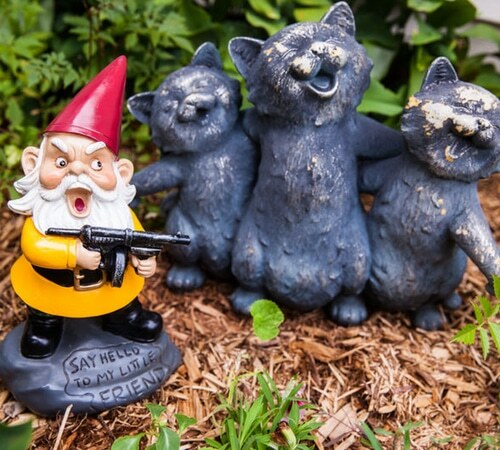 What a great way to intimidate those coming toward your comfort zone! 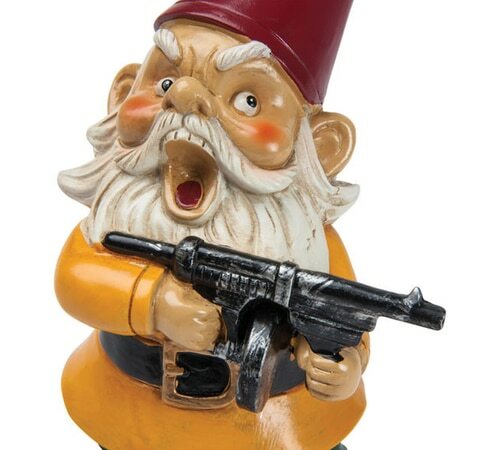 With a look straight out of Scarface, this gnome is ready to tear things up when he’s angry! 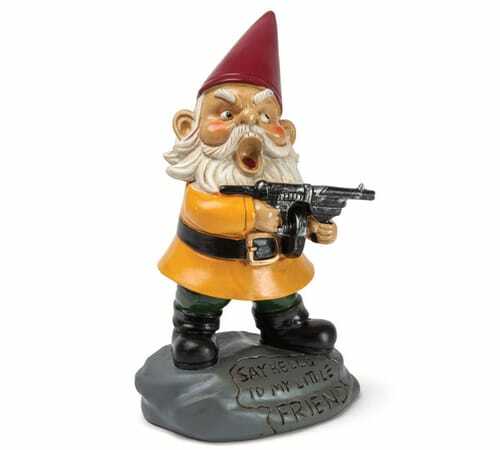 Gnomes are usually quiet and peaceful, but this one is completely on edge. 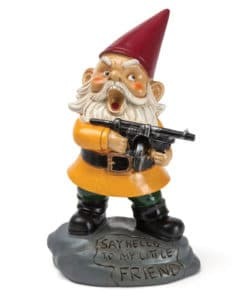 This sweet, darling Angry Little Garden Gnome is a must for your gardens protection! 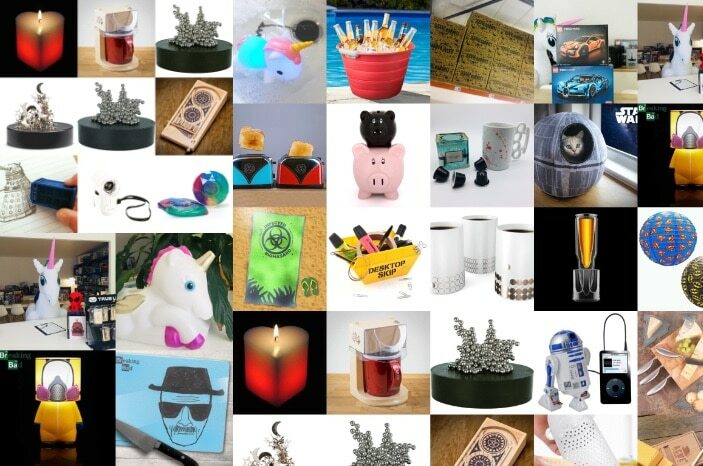 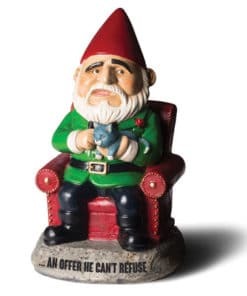 This is a perfect gift for gnome enthusiasts, lawn experts, grumpy cats and us who are just a little bit off center. 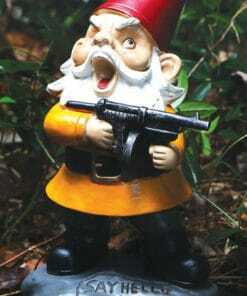 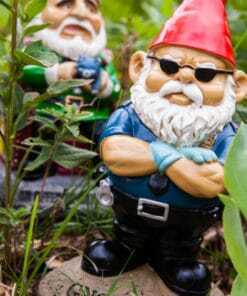 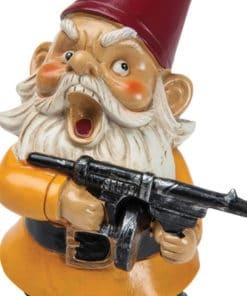 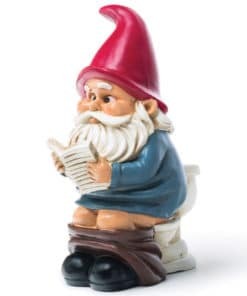 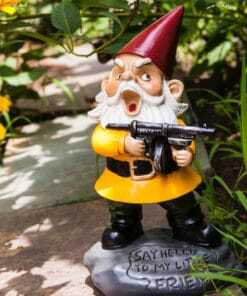 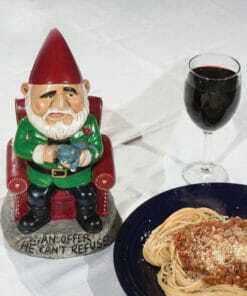 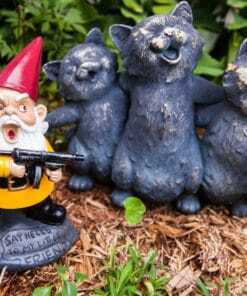 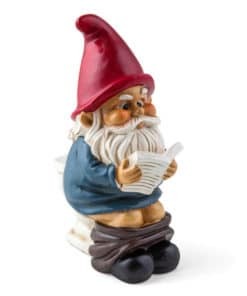 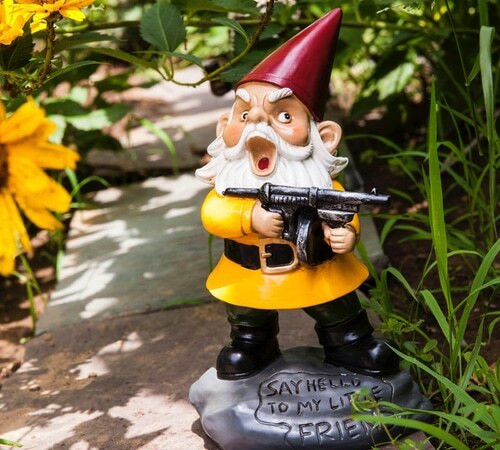 Increase the awesomeness of your garden with the Angry Little Gnome. 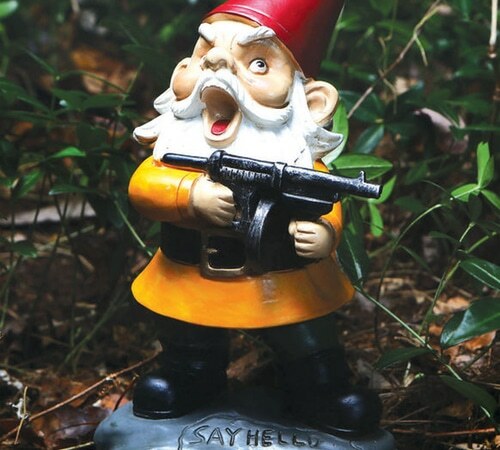 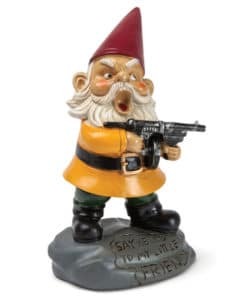 Not only is this garden gnome carrying a Tommy Gun, but his stone perch features the famous Scarface quote, “Say hello to my little friend”.